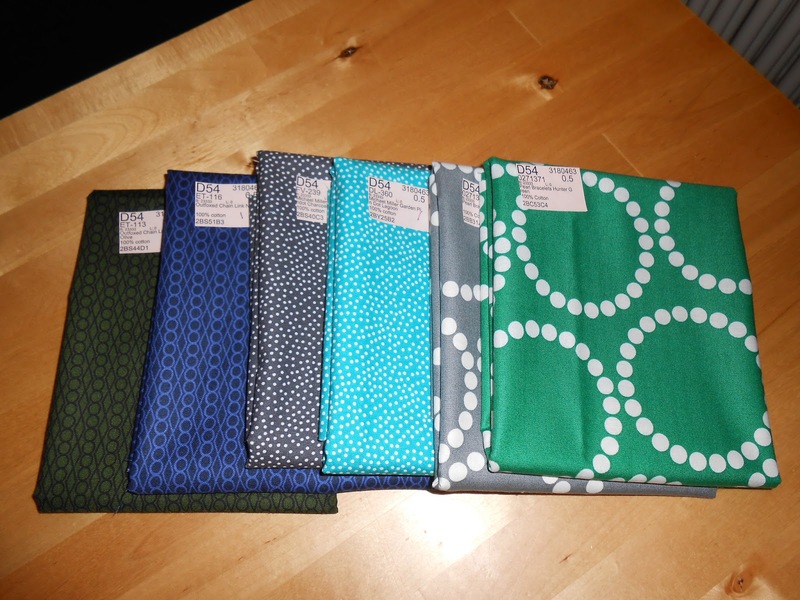 So, you know it was my birthday the other month and you know how some stores throw discount codes at you... well, I succumbed to fabric.com a few weeks back. I'd been playing with my shopping cart's contents anyhow and I think I've come up with a pretty decent selection. 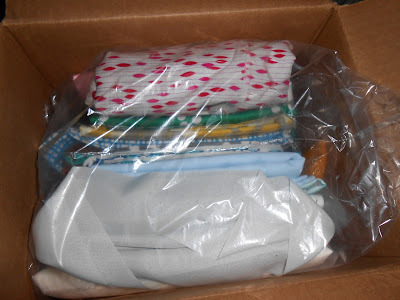 Parcel brimful of fabric - bliss. 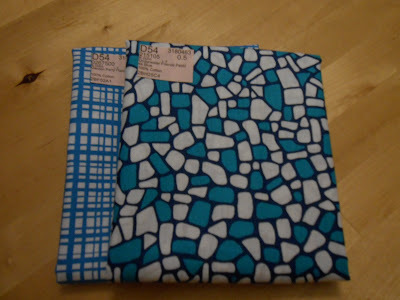 I'm taking a page out of Molli Sparkle's book and am dividing this haul into sections - stash building / re-stashing, nephew fabrics, and fashion fabrics. Yeah, three posts only. After all, this parcel is no magical suitcase filled by a generous grandma. If only. My adorable nan, unfortunately, doesn't sew, though she's still very generous. She had an old Singer in her house which we used to play with as kids - as in moving the huge pedal -, but I think it belonged to my great-grandmother. Nobody ever used it. I should really inquire whether it's still in the cellar or something. It was so pretty with its ironwork pedal and the wooden table. I think I even remember intarsia? Anyhow, let's start with the stash building /re-stashing. I absolutely love the Outfoxed Chain Link and I've still got remnants of both. In fact, they worked so well for my hexies that the remnants will be depleted further. Re-stashed for future non-hexie projects. Similar story regarding the Michael Miller Garden Pin Dots and the Pearl Bracelets. Worked so much better for projects than I ever imagined that I had to re-stash and get more colours, charcoal, grey, and hunter green respectively. Something new and blue also went into my order. I can never resist blue / teal. Seriously, can you? And then this. Midwest Modern Martini in Mustard has been on my list for bloody ages so I finally gave in. 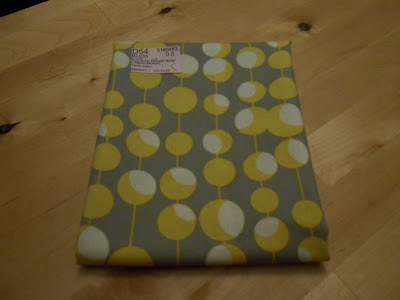 Linking up with Sunday Stash as usual. This time over at Kate Quilts. I can resist blue. Not my color, lol. These are pretty though. A ha outfoxed chain link. Yes a versatile print. I spied some elsewhere in Sunday Stash today. Ooh gorgeous new additions to the stash! I think you definitely should check into where that lovely old sewing machine is. Maybe hint what a great Christmas present it'd make for you! hehe!